Does anyone have an EA that has traded with consistent profits? HI guys & gals...I have purchased just about all of the EA's advertised for auto trading meta4, very few worked satisfactorly..Even backtesting with strategy testing gave less than desirable results..Anyone interested in trying out an EA without wasting your money just send pm to my email address and I'll send a copy. I've been using an EA called Winalot for a few months now that I'm really impressed with. What is the link for this EA? I bought it from eBay a few months ago ago, but they've got a website too. I can recommend them and they're very helpful. could you post details of EA . Are u live? Download EA_Thunder4WD.rar, upload your files and earn money. The Biggest Enemy For EA Thunder is a Spread for EUR/GBP not more than 3 pips (max.4 pips) & the 2nd is Variabel Spread, those EA only can best work at Fix Spread not more than 3 pips for EUR/GBP. Thats way in the end of Day many Broker raise the spread for EUR/GBP more than 4 pips or use a variabel Spreads (only a few Broker use fix spread like Master Forex etc). Hope this information can be usefull. Downloaded but no trade on friday. How often does it trade? Sometimes they do not trade because the market at those times have a some volatility, so the EA eject the trade, if im not wrong the author of this EA use Fractal Envlope to filter Trending Market, because this EA only trade in Market ranging condition. I am interested to try out an EA. My email is roselow_@hotmail.com. I have tried several. Some from the Elite section of Forex-TSD.com as well as many from ForexFactory. I have found one that I am constantly surprised and pleased with. Firebird_V63_EURUSD. I run this on M5 and only on EURUSD with very positive results. Sometimes it will place many trades that will go against you at first, but they have always come back to make me pips. And lots of them. Let me know what you think. 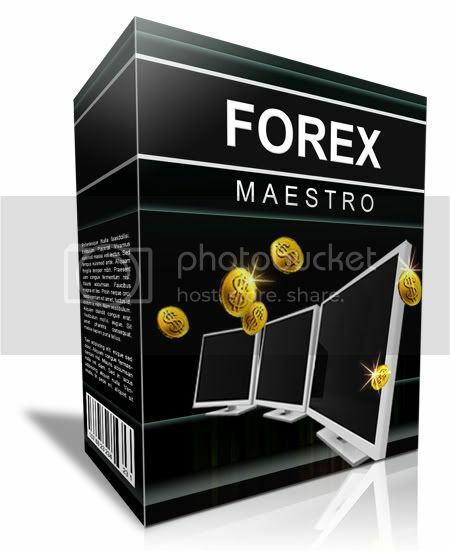 Are The Forex Maestro is same with Firebird v.63 ? where do you get Maestro? Forex Maestro = EA Firebird ! Thanks for the links. I will test on EURUSD. Are you live and which timeframe? The firebird is holding it's own. Up 100 pips in 3 weeks on live micro account, but lots of fluctuation, between +/- 400 pips. Last edited by jolewis1; 10-04-2009 at 23:46. The Firebird EA is holding well. Live for three weeks and still at breakeven. it fluctuates between +/- 400 pips. I am using microlots. I'm interested to try out your EA. Do you have a copy of Forex Megadroid? There appears to be a great deal of hype around that one. If so, I would love to check it out. Just buy it through clickbank and try it for 60 days. If you don't like it get a refund. I've had 4 winning trades since 4/20. No losers yet. This is on a live FXDD account. I may have to keep this one. I've been trying the Firebird v1.0c on the 1M time frame with EUR/USD & USD/CHF, just for curiosity sake. This thing has been generating about 200 pips a day ON DEMO. No losses yet. Waiting for the inevitable drawdown ??? From what I can see it trades bounces off of a SMA channel and tops up losing positions to bring the average down. A bit like going to a roulette table and doubling your bet every time you lose! AND YET, no losing trades yet. [QUOTE=Raskolnikov;2537]I've been trying the Firebird v1.0c on the 1M time frame with EUR/USD & USD/CHF, just for curiosity sake. This thing has been generating about 200 pips a day ON DEMO. No losses yet. Waiting for the inevitable drawdown ??? Is there some magic to making it trade?....I have tried it on FXPro for a week, but with no trades being taken. I have set up other EA's, so I know it is at least set to trade. I checked my version and it is v1.0c, but FXPro is a 5 digit platform....Could that be my problem? Sorry I really have no idea; I'm completely new to EAs. I'm using it on FXDD. Have you been fiddling with the settings? I've left them on default. 21 trades on Firebird so far and no drawdown. I have altered it to take only long or only short trades depending on daily trend. Less trades but for 100 pips or so a day for doing nothing i'm not complaining. Will test it out on a live account with micro lots if it holds up. Oh, remember that Firebird only trades in ranging markets. If it detects a strong trend (divergence between two SMAs), it won't trade. Firebird profits by catching bounces between a MA channel - clearly this would wipe out your account during a strong trend. I spent an hour or so last night looking for the Firebird EA, and I ended up being very confused. There seem to be several versions and several sources. Does anyone know the best version and where to get it from? a link would be great. Also who wrote and supports this EA? Do you have this Magic Machine? How is the Magic Machine doing? don't know. I don't have it. Am interested in seeing it in action. Has anyone tried FAP with consistent results. By our experience the best EA is Kain. If you need good free ea you can get Xbars MA Scalper (FX Zapper) form us. If you need magic mashine we can send you this. This EA like a Fx zapper have been stolen from other EA. EA means expert advisory it is used for forex best affiliates programs robot which is using for written language MT-4. and launched to do perform on Meta -Trader 4 platform . even your account can perform automatically to survive all set operation and directly send messages on both to broker to stop and straggling .